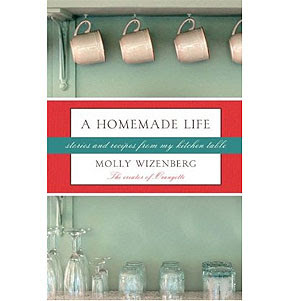 It would be hard to write anything unkind about A Homemade Life with Molly Wizenberg gazing at me like that. Not that I want to! I can't think of anything negative to say about A Homemade Life, which is beautifully written, smart, soulful, and gently funny. Do I like a little more vinegar in my reading material? I do. But that's a taste preference, not a critical judgment, and probably reflects poorly on my character. 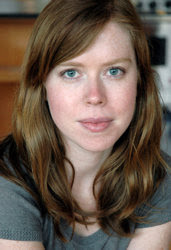 Objectively speaking, Wizenberg has written an almost perfect book, one that transitions smoothly from a wrenching account of her father's death into a sweet love story, and somehow manages to integrate toffee recipes, wacky friends, and trips to Paris, the wide-ranging narrative held together by Wizenberg's quirky sensibility and calm, lovely voice. There were some standouts -- the cabbage, the macaroons, Doron's (incredible) meatballs -- but Wizenberg's recipes are much more concentrated in the middle "good" range than other collections I've worked through. I think that might be a given with the culinary memoir where the recipes make the cut by virtue of the role they played in someone's life rather than how they perform in a blind taste test. Wizenberg's father's potato salad, his French toast, her husband's Indian chickpeas -- all dishes I very much enjoyed, but would I make them again? Probably not. If I wrote my own culinary memoir it would include my late grandmother's raisin-spice cookies. I love them because they were hers. You'd like them. You wouldn't bake them twice. By the same token, there were no outright flops. 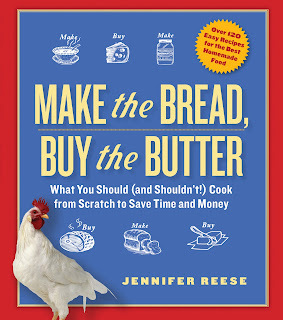 The recipes that make their way into the fiber of another person's life tend to be reliable and pretty delicious. It's a terrific book. I've decided to do another culinary memoir that should take me through the end of May: David Lebovitz's Living the Sweet Life in Paris. i know what you mean about her stare. There's a little Rasputin in those eyes, in a good, hypnotizing way. i think. That photo makes me a little anxious. She's not gazing at you; she's gazing at me. Or should that be a comma? Thanks for the post. Everyone has different views. People's perspectives are different. I don't have much information about the book. Sometimes we like it. Sometimes we don't. It is depends on our views. I liked this post.Keep sharing more posts. I enjoyed reading posts shred here. Looking forward to reading more posts.